Earlier this week the Portland Police Bureau Drugs and Vice Division (DVD) and the DEA received information about a large amount of drugs headed to Portland. On Wednesday, officers raided three area homes in what the police department described as its biggest drug bust ever. Officers found “28 pound of heroin, 2 pounds of cocaine, $156,000 cash, 6 handguns, 1 rifle, 1 ballistic vest, 2 cars, 1 horse trailer, and 6 saddles,” the Portland Police Bureau told MyFox Spokane. 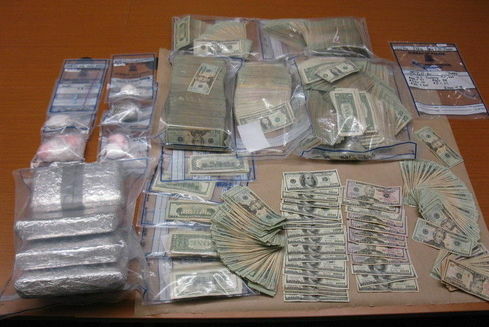 Four were arrested in what is believed to be Portland’s biggest drug bust ever. The trove of drugs have a reported street value between $1.5 and $2 million. Posted: 9/16/11 at 12:29 PM under News Story.